And wonderful sessions here at the Zwingli conference. Tomorrow will be fuller, with the Zwingli film at 6:30. Very, very excited. I’m exhausted so it’s off to bed. More tomorrow. Including a full review of the Zwingli film. Extremely interesting! The Reformation was clearly a network effort. 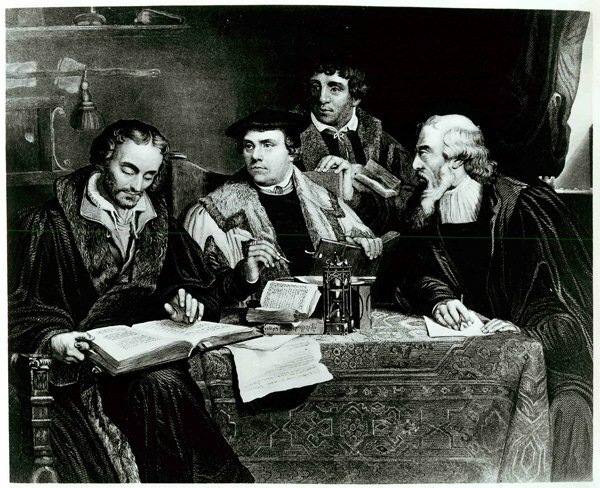 On Calvin and Zwingli and Prophecy. And don’t worry if you weren’t there to hear it. It and all the conference papers will be on the IRG youtube channel in due course! Bucer died on February 28th, 1551, and was buried at St. Mary’s. 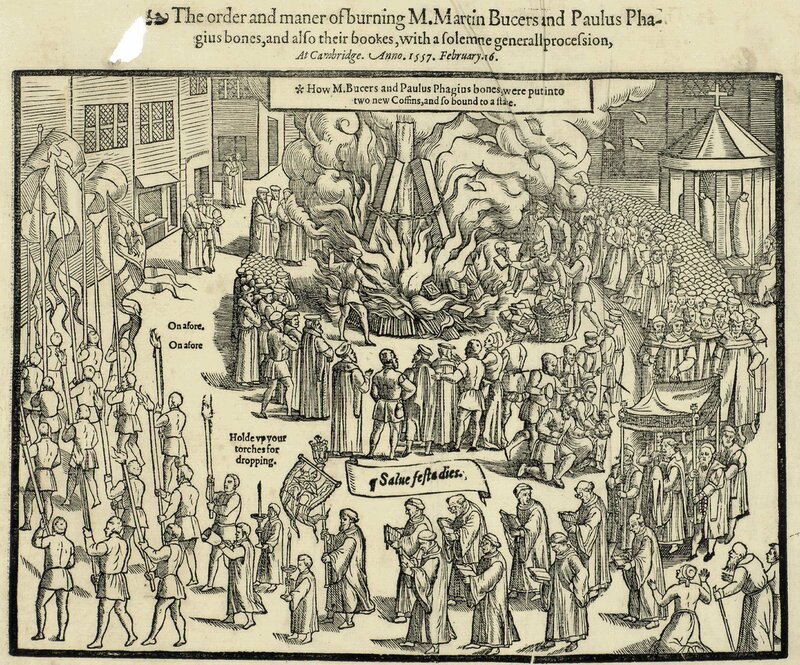 When Mary I became queen of England, she ordered that his body should be exhumed and burned at the stake as a heretic. This was carried out at Market Hill. Jacob Sadoleto’s an able and learned man, and the papists took him up into the number of the cardinals in the hope that he might write against us. But he has no understanding, as may be seen clearly in his commentary on Psalm 51. What alien and absurd notions he introduces into the psalm! Dear God, help us! Let thy good Spirit guide us into the right path!